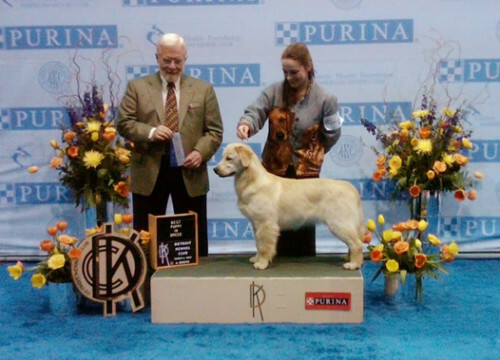 Pink wins Best Puppy In Show at the Grand Traverse Kennel Club! How excited we are about Pink and her brother Frankie. 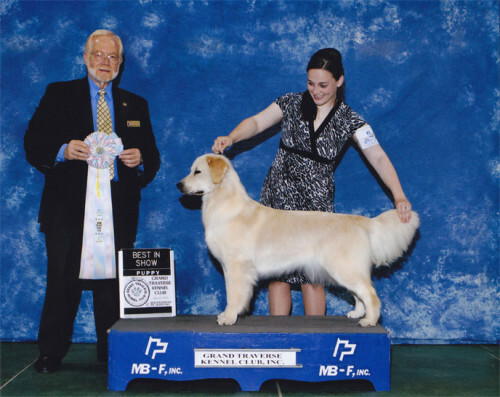 This breeding comes down from our Abbey through her daughter Shelly who was bred to Lance a gorgeous male bred by St. Andrew Goldens. It was a winner!! Such beautiful puppies with great personalities. 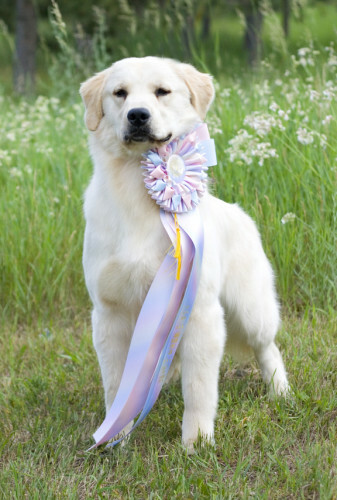 Pink is owned by us and her brother Frankie owned by Judy Kaldahl of Crystal Falls Goldens. 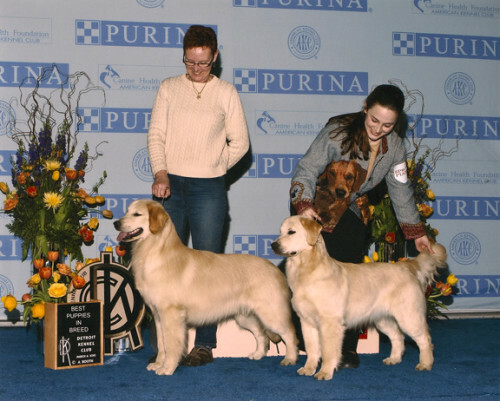 Pink and her brother Frankie made their debut at the 2010 DKC show in Detroit. There is no stopping them now. Watch for updates about Pink..and Frankie as we love to brag!